In collaboration with The Malmö City Archives, Living Archives have initiated a project aiming at exploring and prototyping collaborative(co)-archiving practices inviting young newcomers to generate archive material to the official city archives. The basic idea is to prototype alternative archiving practices for involving more people in documenting the here-and-now of Malmö from their point of views. Why is this important, that is, to open up urban archiving processes to a wider group of people? There is long list of previous scholars who have been elaborating on the roles of archives both in scholarly and political realms. One examples is Derrida (1995), who proposes a reading of the archive as an aim to understand the “drive to collect, organize and conserve the human record” (p. 29). He suggests that an archive affirms the past, present and future; it preserves the records of the past and it embodies the promise of the present to the future. The kind of material that cannot be accommodated by the archive is excluded from our historical record. Further on, he argues that “[e]ffective democratization can always be measured by this essential criterion: the participation in and access to the archive, its constitution and its interpretation”. The project emerged as a reaction to the current state of the world. The crisis in Syria has made the number of people seeking asylum in Sweden rise to historically high levels. According to the Migration Agency (accessed on 2016-03-04), 162 877 people sought asylum in Sweden in 2015, which is nearly 82 000 more applications than in previous year. As a response to this situation The Malmö City Archives, organized under the Department of Culture/Malmö City Council, is currently planning and organising various activities to invite and integrate newcomers to Malmö. The overall mission of the city archives is to document Malmö, and share information about our history, and common cultural heritage. Besides archiving our past, they also document contemporary times including the newcomers’ situations. There are photographers and archivists currently working on this, but the Malmö City Archives is also interested in opening up the archiving process by inviting more people to contribute to the archives by sharing their story of Malmö. 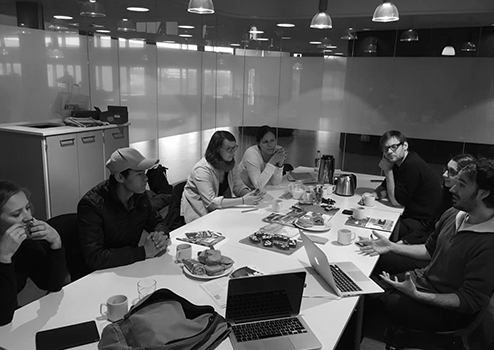 As a first step in the project, we invited Interaction design master (IDM) students at School of Arts and Communication (K3), Malmö University to engage in prototyping alternative forms of co-archiving practices as part of their course Collaborative Media. They were given a design brief proposing an urban co-archiving game-like application for introducing Malmö to newcomers, and at the same time inviting them to participate in generating new archive material. The intended user group was young newcomers aged 15-18 years. The city council facilitated the contact with the user group by sending out invitations to young newcomers living in Malmö. 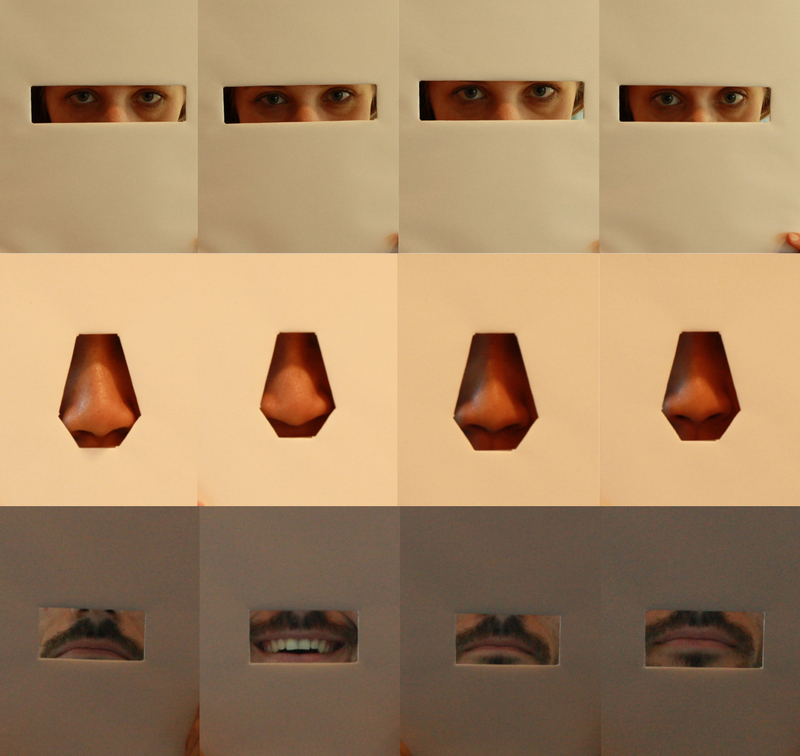 The methodological approach applied by the IDM students is design research, implying that prototyping and design interventions are part of the research process. Their activities are conducted in real-world settings inviting the user group to be part of a co-design process, which is one of the central principles of participatory design. Instead of designing for the users, the designers and/or researchers work with the users. The research process is iterative implying that the direction of the project might change during the design process depending on what is revealed when interacting with the users. What was discovered in the students’ explorations was that a game-like application was not the most appropriate solution in this case. 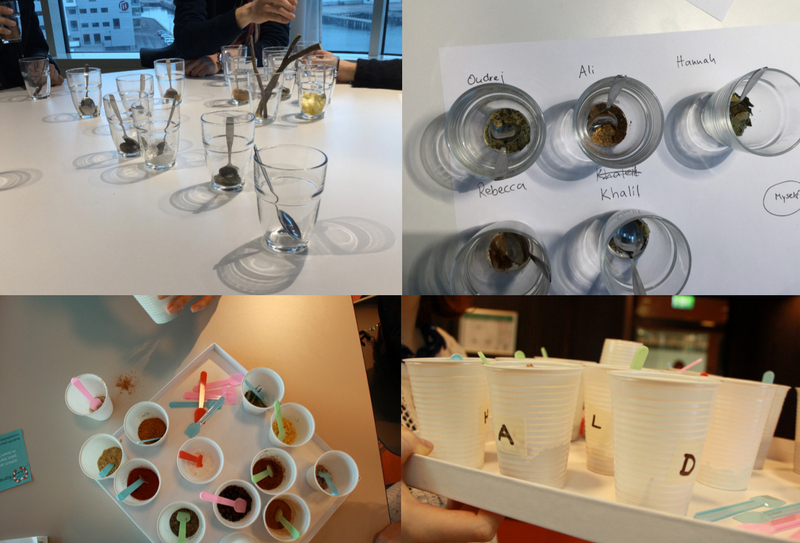 Instead the students went for other experimental kinds of alternative co-archiving practices. They moved beyond words, and pictures by involving others senses and elements such as humour, smell, face and voice expressions. This resulted in two design proposals: “Mosaic of Malmö” and “Designing an archiving practice using comedy”, briefly described by the students (see “Alternative co-archiving practices: two design proposals”). The experiences gained and learning outcome generated from the student projects will feed into the next steps of the overall project. Besides the actual design concepts expanding the idea of what a city archive may constitute, other important learning outcomes were drawn from the actual meetings with the user group. The first challenge encountered was the difficulties in getting in contact with young newcomers. Despite the fact that we sent out the invitation to a large group of people potentially interested in taking part in the exploration together with the students, only two persons (males) came back to us. One of them brought a friend, thus in total three people were involved in the project. Besides this, also employees at the Malmö City Council contributed to the project by sharing their experiences from working with newcomers living in Malmö. Besides a possible lack of interest, a reason behind this might also be a poorly designed invitation not targeting the young newcomers, but their caretakers. Also, a second reason behind the difficulties in getting in contact with the group was the fact that the Malmö City Council had yet not developed a communication strategy preventing invitations like ours from getting lost in the cloud of information being distributed to this group. Another crucial issue when collaborating with this particular user group is questions regarding research ethics. We followed the ethical standards in research formulated by the Swedish Research Council (2011), but realized in our encountering with the youngsters that we were not adequately prepared, nor had we discussed it enough on forehand. Our experiences will be reflected upon in coming work and brought into the discussion on research ethics when establishing collaborations with exposed groups. Introductory meeting between students and user (CC:BY-NC). Concept developed by: Hannah Weiser (hannahweiser@googlemail.com), Katarina Thorstensson (katarina@katarinathorstensson.se), Ondrej Mynarik (mynario@gmail.com), and Rebecca Göttert (rebecca.goettert@gmail.com), Interaction design master students at K3, Malmö university. The concept of Mosaic of Malmö was formed by exploring the question “what is worth archiving today?” The Mosaic of Malmö project concludes this with the answer: the individual. The human being and its ordinary, everyday live is what we need to capture in all its facets in order to leave a mark in the archives of today. Instead of focusing on the person as a whole, we collect different facets, smaller pieces, of an individual, which according to Huvila (2008) makes a community the ”sum of all individual structures, descriptions, orders, and viewpoints“ (p. 26) and a participatory archive. Those different pieces, taken from many people, can then be put together to create a whole again: a mosaic of people living in Malmö today. We intend the mosaic to have no order, but “just the necessity of keeping information findable“ (ibid.). – How do we perceive ourselves? – How do others perceive us? In relation to these questions, we explored the following five different areas and/or senses: smell, colour, face expressions, voices and memories. Workshop participants composing scents representing their personalities. Photo: The MoM project group. The concept of the Mosaic of Malmö should be perceived as a living archive rather than an enclosed project. We propose to extend these methods, materials and experiments to continue to paint the vivid picture of Malmö being as diverse as the city is and to use these methods as inspiration to further develop alternative archiving practices. Face expression workshop – sadness, joy, anger, surprise. Photo: MoM project group. Concept developed by: Ligia-Estera Oprea (ligia.estera@gmail.com), and Mauricio Struckel (mauriciomds@gmail.com), Interaction design master students at K3, Malmö university. Due to the challenging user group and all the difficulties of reaching them, the design team started the project by researching ethnographically the city archive both from the staff perspective and the archive user’s perspective, getting to the conclusion that archiving was a construction of a narrative. Bearing in mind designing a digital archiving collaborative platform, the design team understood that being a narrative possible to be described by dramaturgy theories, there were three possible dramaturgic plots to use: the Epic, the Tragedy or the Comic. From this theory came the idea of using comedy as mean of archiving not the tragic past of asylum granted children but their present and future into the Swedish society. The first design concept was to use comedy as a cultural icebreaker, so that newcomers to the Swedish culture would post questions about Swedish culture into a web platform, creating than a repository for Swedish comedians to create comic plots explaining their own culture that would be published on the platform in different medias such as video. The team had prototyped a simple forum-like web site, trying to work with young newcomers. In parallel the team was contacting different comedy gender professionals. However, since the web platform did not offer any comic content, which the team believed would be the most entry point for participants engagement, the engagement level of this initiative was low. The focus then became how to get more questions from the user group to engage comedians to produce content. On the effort of finding content producers and gathering a big repository of cultural questions, the team submitted itself to an Improvisation (Improv) workshop. That experience culminated in a workshop design initially intended to be an ethnographic study on acquiring the newcomers experiences to share with a local comedian. However the practice of the workshop became so effective, that the result in itself became a viable archiving practice, and formed the basis for our design proposal. The workshop as an archiving practice. Illustration: Oprea and Struckel. Derrida, Jacques (1995). Archive Fever: A Freudian Impression trans. Chicago and London University of Chicago Press. Huvila, Isto (2008): Participatory archive: towards decentralised curation, radical user orientation, and broader contextualisation of records management. Archival Science, 8(1), 15-36. Swedish Research Council [Vetenskapsrådet] (2011). Good Research Practice. Stockholm: Vetenskapsrådet.